Lead assignment rules direct incoming leads to a designated Salesforce user or queue. If you do not set up lead assignment rules, all web-generated leads will be assigned to the default lead owner that you defined on the lead settings page. When you have a lot of leads coming in through your website, it’s important that they are routed to the correct person immediately so that person can respond in a timely manner. You don’t want to lose a potential opportunity simply because a lead was improperly assigned. Let’s walk through the process of setting up a lead assignment rule. 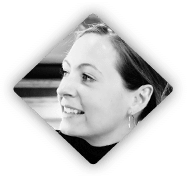 In this case, we’re directing all new leads that come in through a web-to-lead form from the state of NY to Sales Manager Bailey Tubbs, who is located in New York. 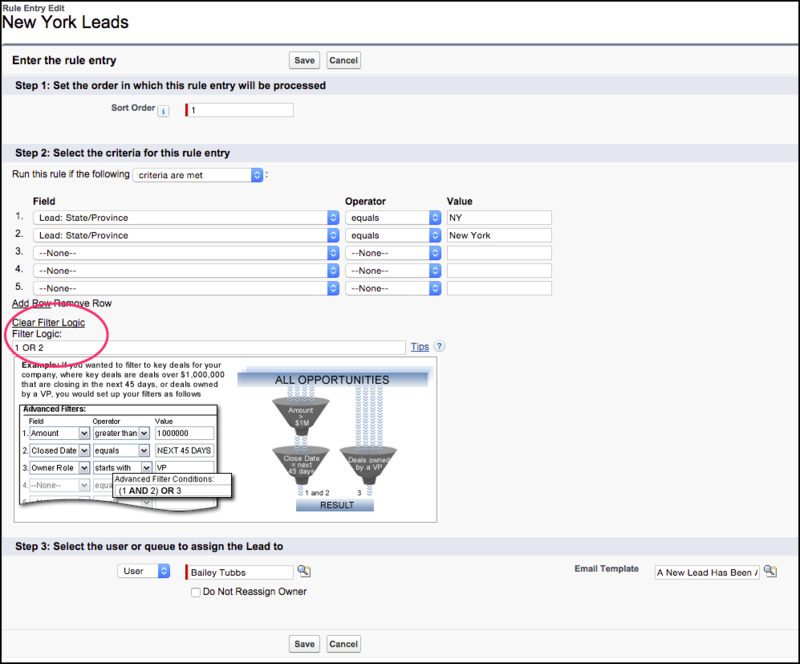 All remaining leads that do not fit this criteria will be assigned to the default lead owner. To set up a lead assignment rule, navigate to Set Up -> Build -> Leads -> Assignment Rules, and click “New.” Enter a descriptive Rule Name, check “Active,” and click “Save.” Keep in mind that you can create multiple lead rules, but only one can be active at a time. 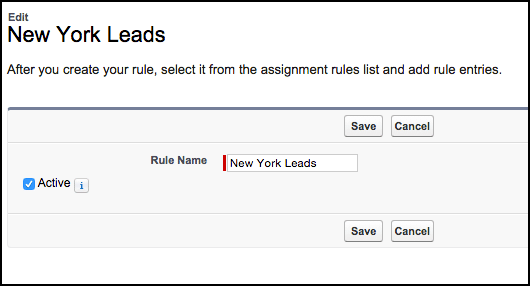 Next, you need to add one or more rule entries to make the lead assignment function the way you want it to. Click “New” and the rule entry detail page opens up. Let’s start with Step 2 as shown in the graphic below. There are two options to consider that manage when a rule should run–when the criteria are met or when the formula evaluates to true. For our example, choose that the rule runs when our established criteria are met. Click the field dropdown, and select your criteria. In this example, we’ve selected “Lead: State/Province.” We have changed the operator to “equals” and entered a value of “NY.” We’ve gone to the next line and selected the same field and operator, plus have entered “New York” as the value. When it’s all said and done, setting up lead assignment rules takes just a couple of minutes. Learning the steps and applying the right rules to different types of incoming leads will help ensure that your team can efficiently manage and respond to those important leads. For more detailed information on how to set up a lead assignment rule, check out this Salesforce help article.